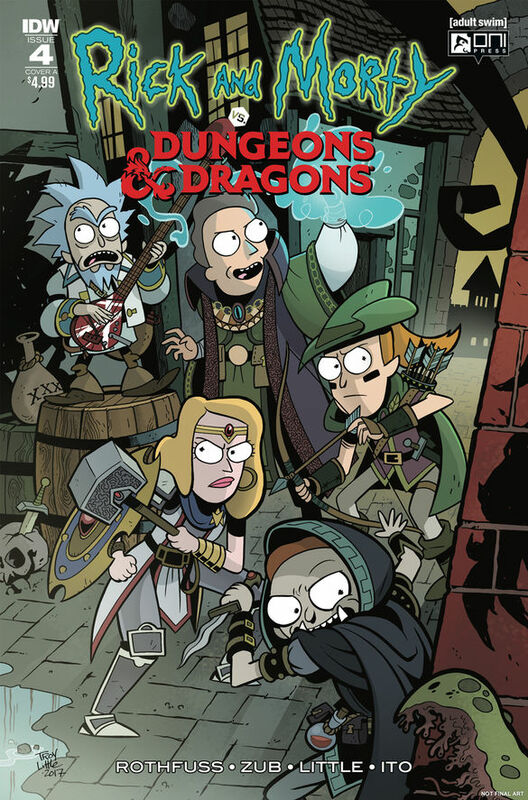 Dungeons &amp; Morty &amp; Destruction &amp; Death &amp; Rick &amp; Swords &amp; Sassery &amp; Hashtag &amp; Ampersand &amp; It all ends here, people &amp; oh, yeah-Dragons. Patrick Rothfuss, the multiple award-winning, bestselling author of The Kingkiller Chronicles series, joins Dungeons &amp; Dragons fan-favorite author Jim Zub (Avengers, Wayward) on a tri-dimensional fantasy adventure! Rick and Morty is one of the most popular shows in Adult Swim history, with a steady fan following since it debuted in 2013. 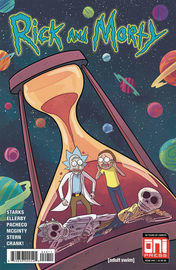 This is the first official Rick and Morty team-up story and should have deep traction in fan circles! Dungeons &amp; Dragons 5th Edition sales continue to grow each year and the Baldur's Gate video games have sold millions of copies around the world. 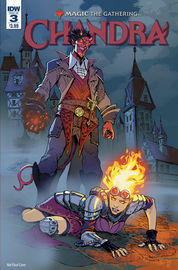 D&amp;D has returned as a cultural force in bookstores and online.